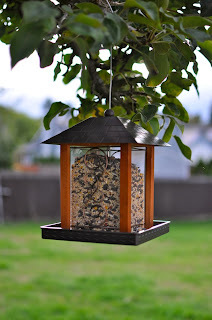 17 - Purchased a bird feeder and installed it in our backyard and we already received beautiful little visitors! 18- Left coins and a note at a vending machine. 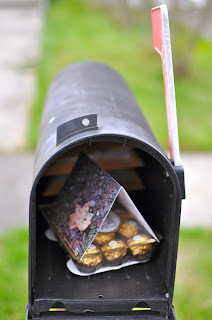 19- Bought a treat and out it inside of my mailbox along with a card for our mailman, he's always so good to us. 20- Donated all the change I had in my wallet to my little man's preschool. Today was the first time I noticed a jar that said "Penny Drive" to help out the school. 21 - Brought some of the little man's used books to the doctor's clinic I go to, so the other moms can keep their little ones occupied while they get checked. The books that they have there are missing pages, time for new ones! Please share if you have done any random act of kindness, I'd love to hear about it and post it here, too.